Master your hardest subject and understand all the answers. Math does not deal with abstracts in the same way English, philosophy or other liberal arts studies do. 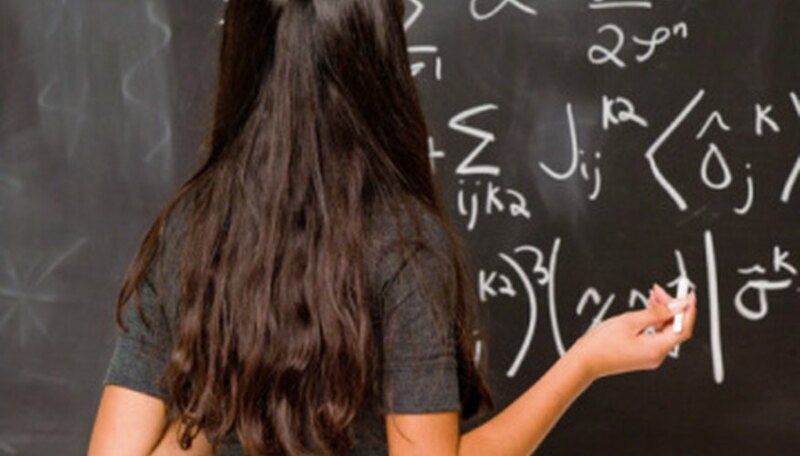 So when trying to explain answers to math problems, there are various methods you will be able to use to correctly demonstrate how you arrived at the answer. Plug in your answer, work backwards, explain in terms of something else or use an online resource to explain math answers to a student or child struggling with a math problem. Work backwards. Math answers can be proven by working backwards. If a student cannot understand why 12 multiplied by 4 is 48, try to explain it by showing how 48 divided by 4 equals 12, or how 48 divided by 12 equals 4. Students comprehend better when they see symmetry in math. Explain in terms of something else. Difficult math concepts and solutions can often be explained using an easier version of the same concept. For example, when explaining percentages explain in terms of numbers easy to understand, such as 10% of 100 as opposed to 6% of 47. Check your answer. Many math equations can be proven simply by checking your answer. For example, if you arrive at the solution x=3 for 2x +2 = 8, simply plug 3 in for the variable to determine if the answer is correct. Use an online resource. Various web sites offer free step-by-step solutions to explain how an answer was attained for hard-to-explain concepts. Visit webmath.com, choose a Math Help item and begin having your answers explained. Gianino, Laura. "How to Explain Math Answers." Sciencing, https://sciencing.com/explain-math-answers-8055463.html. 24 April 2017.